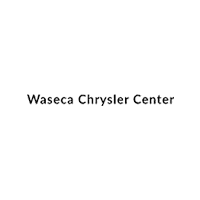 MSRP $24,390, 2.4L ENGINE, FWD, POWER WINDOWS/LOCKS, SPEED CONTROL, AM/FM/CD, AC, PLUS MUCH MORE........................PRICE INCLUDES $1500 FINANCE REBATE - MUST FINANCE WITH WASECA CHRYSLER TO QUALIFY!!! MSRP $26,985, 2.4L I4 ENGINE, FWD, POWER WINDOWS/LOCKS, SPEED CONTROL, AC, AM/FM/SIRIUS SATELLITE RADIO, ALLOY WHEELS, PLUS MUCH MORE..................PRICE INCLUDES $1500 FINANCE REBATE - MUST FINANCE WITH WASECA CHRYSLER TO QUALIFY!!! MSRP $29,330, 2.4L ENGINE, 4X4, HEATED CLOTHE/VINYL SEATS/STEERING WHEEL, REMOTE START, POWER DRIVERS SEAT, AC, ALLOY WHEELS, AM/FM/SIRIUS SATELLITE RADIO/BLUETOOTH COMPATIBLE, PLUS MUCH MORE.............PRICE INCLUDEWS $1000 FINANCE REBATE - MUST FINANCE WITH WASECA CHRYSLER TO QUALIFY!!! MSRP $29,680, 2.4L ENGINE, 4X4, HEATED CLOTHE/VINYL SEATS/STEERING WHEEL, REMOTE START, POWER DRIVERS SEAT, AC, ALLOY WHEELS, AM/FM/SIRIUS SATELLITE RADIO/BLUETOOTH COMPATIBLE, PLUS MUCH MORE.............PRICE INCLUDEWS $1000 FINANCE REBATE - MUST FINANCE WITH WASECA CHRYSLER TO QUALIFY!!! MSRP $29,130, 2.4L 4 CYLINDER ENGINE, 4X4 HEATED CLOTHE SEATS/STEERING WHEEL, REMOTE START, POWER WINDOWS/LOCKS, SPEED CONTROL, AM/FM/SIRIUS SATELLITE RADIO/BLUETOOTH COMPATIBLE, AC, ALLOY WHEELS, BACKUP CAMERA, PLUS MUCH MORE....................PRICE INCLUDES $1500 FINANCE REBATE - MUST FINANCE WITH WASECA CHRYSLER TO QUALIFY!!! MSRP $32,120, 2.0L TURBO ENGINE, 4X4 HEATED CLOTHE SEATS/STEERING WHEEL, REMOTE START, POWER WINDOWS/LOCKS, SPEED CONTROL, AM/FM/SIRIUS SATELLITE RADIO/BLUETOOTH COMPATIBLE, AC, ALLOY WHEELS, BACKUP CAMERA, PLUS MUCH MORE....................PRICE INCLUDES $1500 FINANCE REBATE - MUST FINANCE WITH WASECA CHRYSLER TO QUALIFY!!! MSRP $32,530, 3.2L V6 ENGINE, 4X4, BLIND SPOT AND CROSS PATH DETECTION, BACK-UP CAMERA, REAR PARK ASSIST, HEATED LEATHER SEATS/STEERING WHEEL, REMOTE START, POWER DRIVER SEAT, APPLE CAR PLAY/GOOGLE ANDROID AUTO CAPABLE, POWER WINDOWS/LOCKS, SPEED CONTROL, AM/FM/SIRIUS SATELLITE RADIO/BLUETOOTH COMPATIBLE, AC, ALLOY WHEELS, BACKUP CAMERA, PLUS MUCH MORE....................PRICE INCLUDES $1500 FINANCE REBATE - MUST FINANCE WITH WASECA CHRYSLER TO QUALIFY!!! MSRP $35,690, 3.2L V6 ENGINE, 4X4, HEATED LEATHER/STEERING WHEEL, REMOTE START, 8.4 TOUCHSCREEN, AM/FM/SIRIUS SATELLITE RADIO/BLUETOOTH COMPATIBLE, POWER WINDOWS/LOCKS, SPEED CONTROL, AC, PLUS MUCH MORE............................PRICE INCLUDES $1500 FINANCE REBATE - MUST FINANCE WITH WASECA CHRYSLER TO QUALIFY!!! $1000 Trade Assist Rebate on this Ram!! !...................MSRP $41,230, 3.6L V6 Engine, 4x4, 20 Alloy Wheels, Express Package, Power Windows/Locks, Speed Control, Am/FM/Sirius Satellite/Bluetooth Compatible, AC, plus much more (Trailer Hitch Installed Available for $196.25)..............................Price includes $1500 Finance Rebate - Must finance with Waseca Chrysler to Qualify!!! LEASE FOR $289.99 PER MONTH - CALL SALES FOR DETAILS - 36 MONTHS/10,000 MILES PER YEAR - MSRP $39,680, 3.6L V6 ENGINE, 4X4, 20 ALLOY WHEELS, EXPRESS PACKAGE, POWER WINDOWS/LOCKS, SPEED CONTROL, AM/FM/SIRIUS SATELLITE/BLUETOOTH COMPATIBLE, AC, PLUS MUCH MORE (TRAILER HITCH INSTALLED AVAILABLE FOR $196.25)..............................PRICE INCLUDES $1500 FINANCE REBATE - MUST FINANCE WITH WASECA CHRYSLER TO QUALIFY!!! MSRP $36,735, 3.2L V6 ENGINE, 4X4, HEATED LEATHER/STEERING WHEEL, REMOTE START, TRAILER TOW GROUP, 8.0 TOUCHSCREEN, AM/FM/SIRIUS SATELLITE RADIO/BLUETOOTH COMPATIBLE, POWER WINDOWS/LOCKS, SPEED CONTROL, AC, PLUS MUCH MORE............................PRICE INCLUDES $1500 FINANCE REBATE - MUST FINANCE WITH WASECA CHRYSLER TO QUALIFY!!! MSRP $37,730, 3.6L V6 Engine, Heated Leather Seats/Steering Wheel, Remote Start, Apple Car Play, Power Drivers Seat, 3 Zone Temp Control, Alloy Wheels, Key Sense, 8-Passenger Seating, Power Windows/Locks, Speed Control, Am/FM/Sirius Satellite Radio/Bluetooth Compatible, plus much more........................Price includes $1500 Finance Rebate - Must finance with Waseca Chrysler to Qualify!!! MSRP $37,535, 3.2L V6 ENGINE, 4X4, PANORAMIC MOON ROOF/SUNROOF, HEATED LEATHER/STEERING WHEEL, REMOTE START, 8.0 TOUCHSCREEN, AM/FM/SIRIUS SATELLITE RADIO/BLUETOOTH COMPATIBLE, POWER WINDOWS/LOCKS, SPEED CONTROL, AC, PLUS MUCH MORE............................PRICE INCLUDES $1500 FINANCE REBATE - MUST FINANCE WITH WASECA CHRYSLER TO QUALIFY!!! MSRP $36,335, 3.2L V6 ENGINE, 4X4,HEATED LEATHER WITH CLOTHE INSERTS SEATS/STEERING WHEEL, REMOTE START, 8.0 TOUCHSCREEN, AM/FM/SIRIUS SATELLITE RADIO/BLUETOOTH COMPATIBLE, POWER DRIVERS SEAT, POWER WINDOWS/LOCKS, SPEED CONTROL, AC, ALLOY WHEELS, PLUS MUCH MORE...................PRICE INCLUDES $2000 FINANCE REBATE - MUST FINANCE WITH WASECA CHRYSLER TO QUALIFY!!! PRICE INCLUDES $750 CHRYSLER OWNER LOYALTY REBATE - MUST OWN OR LEASE A CHRYSLER PRODUCT - MSRP $40,890, 3.6L V6 ENGINE, NAVIGATION, THEATRE SEATING WITH BLUE RAY DVD, ALPINE SPEAKERS, WIFI - HOT SPOT, SAFETY TEC GROUP, HEATED FRONT SEATS/STEERING WHEEL, REMOTE START, BLIND SPOT/CROSS PATH DETECTION SYSTEM, ALLOY WHEELS, AM/FM/SIRIUS SATELLITE RADIO/BLUETOOTH COMPATIBLE, 7 TOUCH SCREEN, POWER WINDOWS/LOCKS, SPEED CONTROL, 3 ZONE TEMP CONTROL, PLUS MUCH MORE................................PRICEINCLUDES $1000 FINANCE REBATE - MUST FINANCE WITH WASECA CHRYSLER TO QUALIFY!!! $1000 Trade Assist Rebate on this Ram!!! MSRP $47,025, 5.7L V8 HEMI Engine, 4x4, Express Value Package, 20 Chrome Wheels, Trailer Tow Package with Receiver Hitch, Power Windows/Locks, Speed Control, Am/FM/CD, AC, plus much more...........................Price includes $2500 Finance Rebate - Must finance with Waseca Chrysler to Qualify!! !